Vacation rental house. Sleeps 14, 6 bedrooms, 6 bathrooms. No pets allowed. Living Room Enjoy the extra seating on the bench against the wall. Living room, and looking into the dining room. Beautiful, spacious tile floored entry. Stairway to second floor. Dining room with gorgeous table that seats eight. Twin bedroom, upstairs. Comfortable and spacious, with TV in the wardrobe cupboard. This truly amazing vacation home sits on the edge of the Big Meadow and provides spectacular mountain and meadow vistas in all directions. EM 32 is a wonderful, spacious home (at 4,297 sq. ft.) that is ideal for an extended family or large group or retreat. 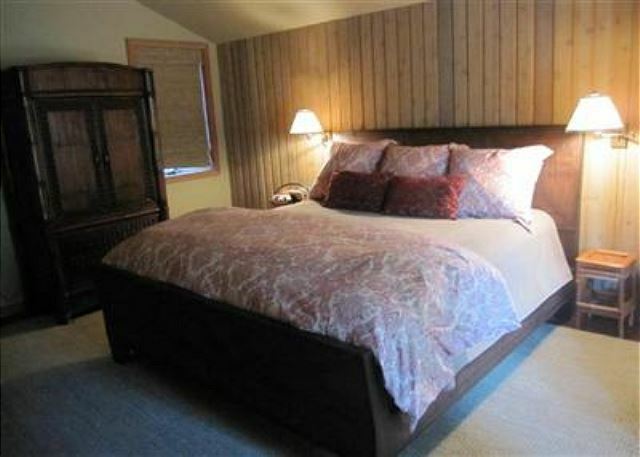 Two king bedrooms down and two king bedrooms up are ideal for couples, plus a bedroom upstairs with twin beds and one with two sets of bunks house kids or singles. Bathrooms are plentiful as all bedrooms have their own bath with the exception of the bunk and twin rooms that share a bath. 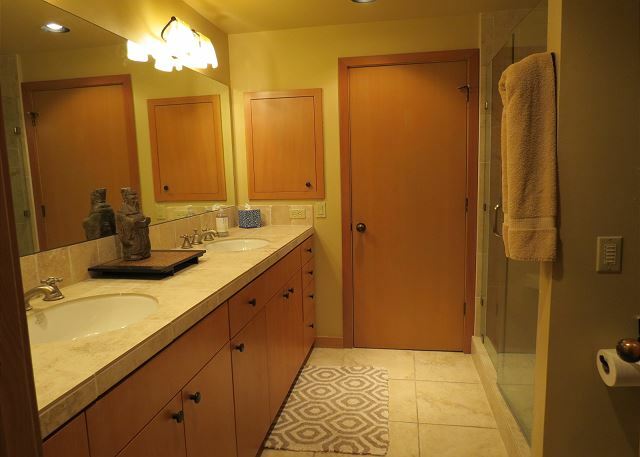 There is even a bathroom with shower off the hallway that leads to the garage. All bedrooms with the exception of the bunk room also have televisions. 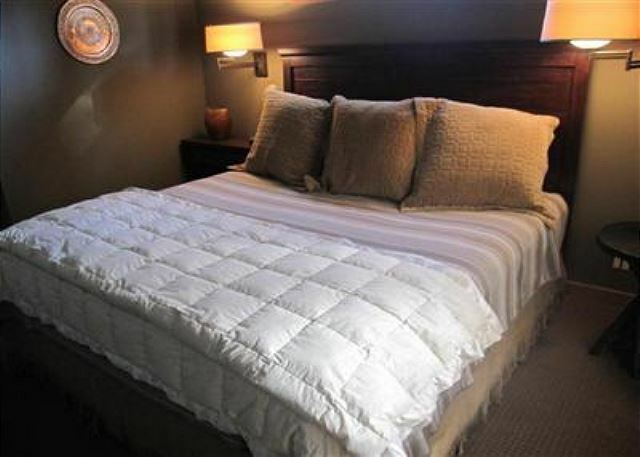 Linens and comforters in this home are luxurious and beautiful. 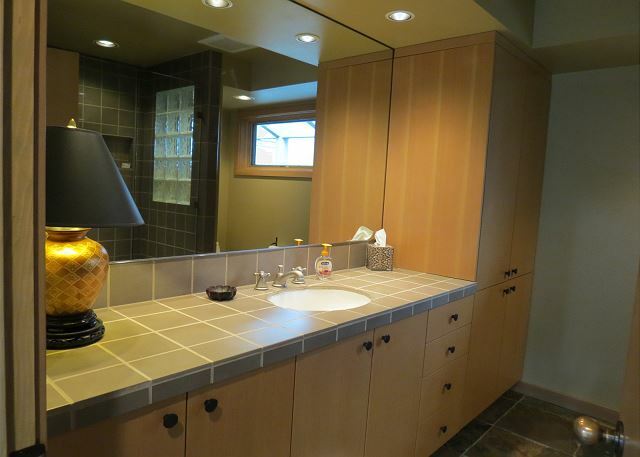 The bathrooms are also spacious and elegant. The great room has a large living area with wall to wall windows looking out into the Big Meadow with gorgeous mountains for a backdrop. The dining room seats 10 and the kitchen is open to all so the cook with stay in the midst of the action. 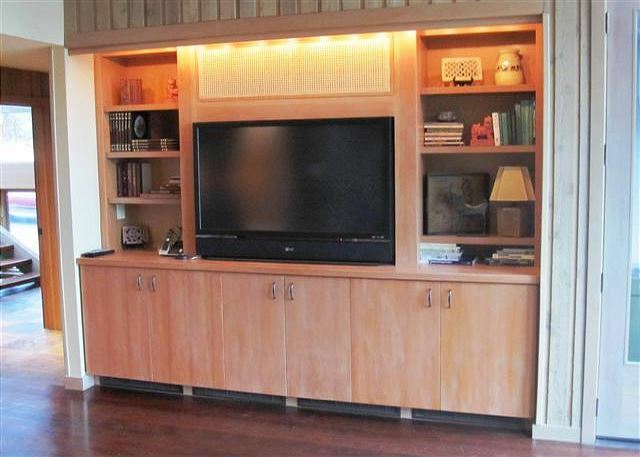 There is lots of counter space and cabinets and a large pantry to house your groceries. The appliances are premium quality and some are newer. 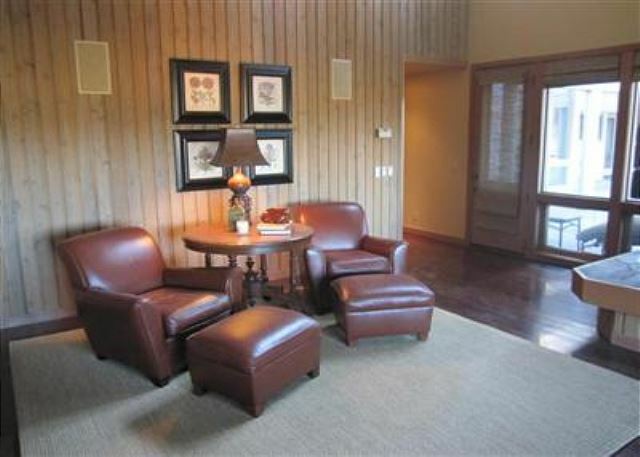 The great room has beautiful dark stained hardwoods throughout. A large garage houses a ping pong table and room for one car. There is an extra refrigerator also in this space and parking spaces for several cars. A wonderful lawned area to the west is great for the kids' football games or wrestling matches. The beautiful pavered back deck houses lots of outdoor furniture and will make for a perfect outdoor eating area while you are in residence. Lots of seating around the large fire pit will provide a great area for hot dog and marshmallow roasts or fun for the kids while they fix their favorite s'mores. There is a hammock for leisure naps on a hot summer afternoon. And don't forget the amazing, spectacular views that will be a pleasure to your senses and a dream come true for those photographers in your group. 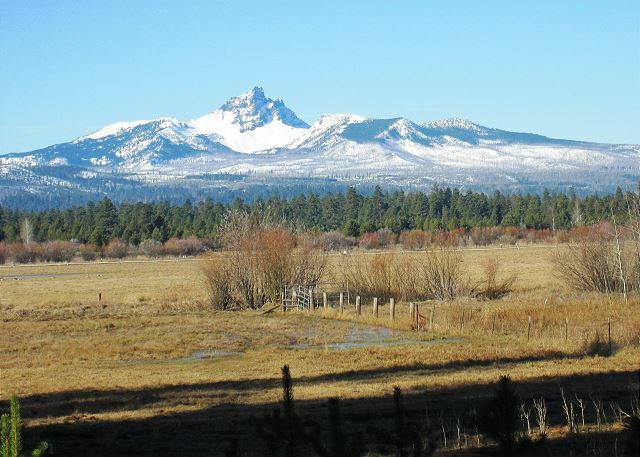 You will never forget this property or the wonderful experiences you will have at Black Butte Ranch! PLEASE NOTE: DURING JULY AND AUGUST there is a 7 night minimum on most properties plus a specific turn day, i.e. Monday for this home. If you wish to deviate from the schedule or are having difficulty booking on-line, please call Black Butte Realty Group Property Management, formerly Howells at eight eight eight seven six two seven seven six three. Fun time time, great house for our family. Happy to hear you enjoyed EM-32! Thank you for booking with Howells. Hope to see you again next year. Glad to hear EM-32 was a good fit for you and your guests. Thank you for booking with Howells. We hope to see you again next year! We loved the view from the back deck and all the furniture that was available out there. A great house for a large group. We loved everything about it. We are very happy to hear you enjoyed this home. Thank you for booking with Howells. Hope to see you again next year. We had a lovely visit at BBR this year. As 40 year veterans, we had surprisingly never stayed at East Meadow 32. However, we were pleasantly surprised. 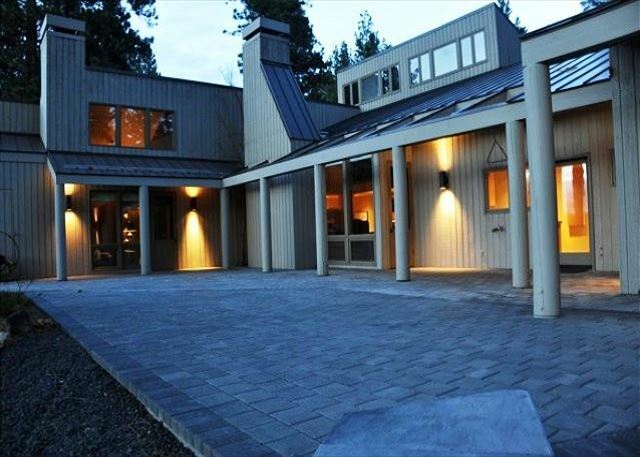 The house had lots of space for our large family, a great outdoor patio area, and views of the mountains to boot. We loved it! We held an intimate wedding on the lawn in view of Three Finger Jack and enjoyed a catered dinner on the patio overlooking the meadow. After the wedding cake, we played croquet on the lawn. It was perfect for us! Our family of 13 loved this home! It was perfect for our group. So nice to have four king bedrooms with ensuite bathrooms and then the two other rooms for the kids. Our youngest was 17 so the bunk beds were a little small, but ok. 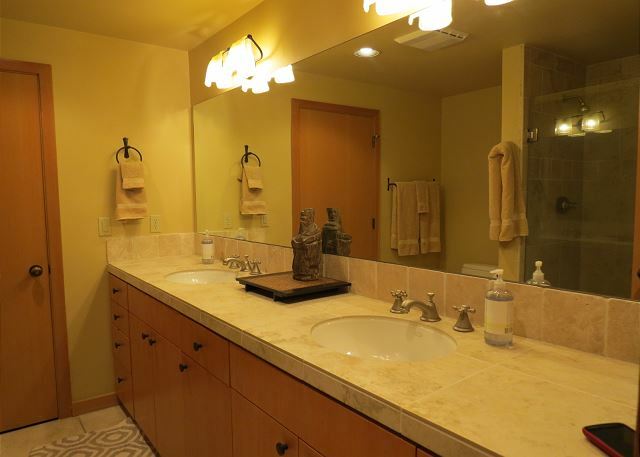 Loved having 6 bathrooms to accommodate everyones needs. The location at the ranch was awesome! Close to the store and the main lodge and not far from Glaze Meadow amenities as well. The views from the back of the house were stunning and we loved gathering around the fire pit every evening! I highly recommend this home! 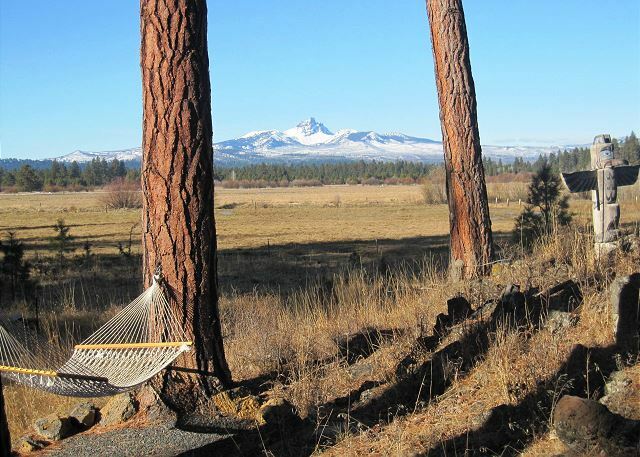 We have stayed in Black Butte for over 30 years and this by far was the most amazing place for our family. The view and location to everything was the best. The outside living space made the house seem even larger. The house decor was beautiful. We are planning our next visit. 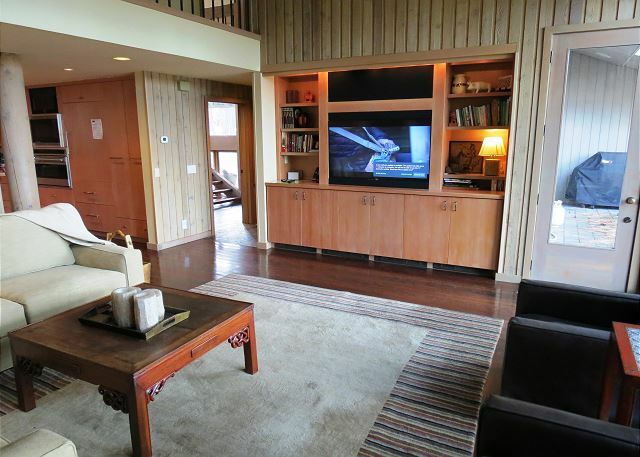 This home is the most amazing BBR Home on the Ranch with views of the Meadow and multiple suites throughout.